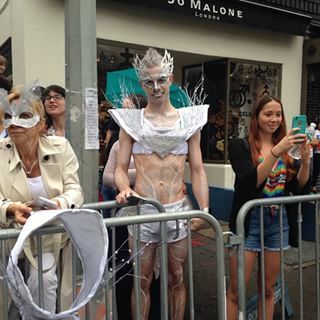 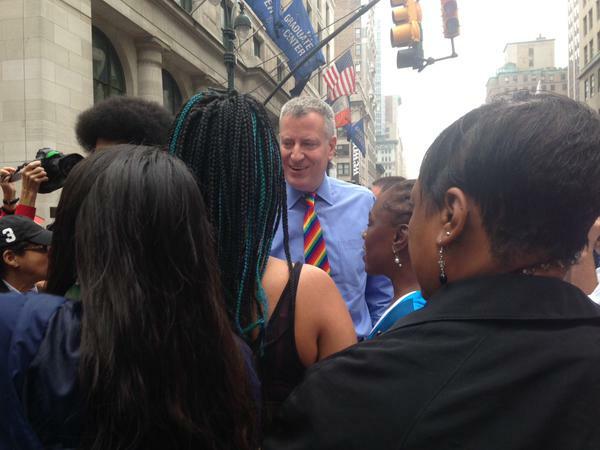 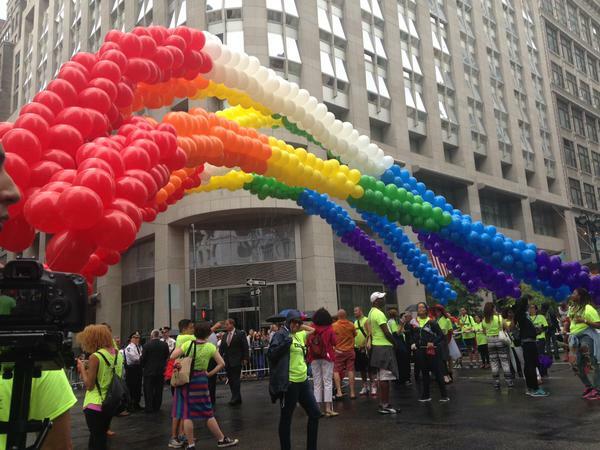 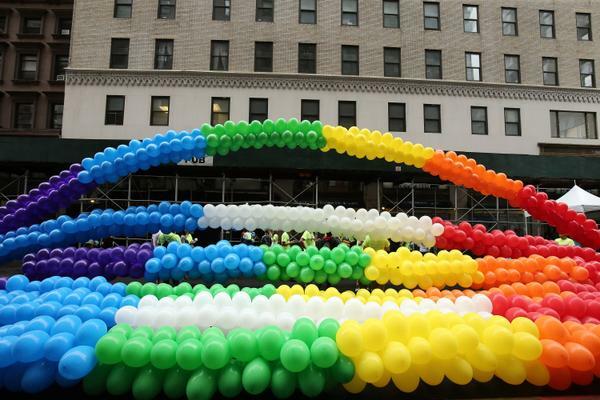 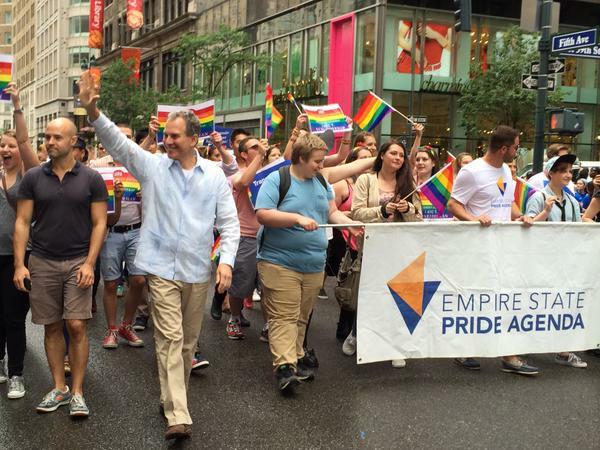 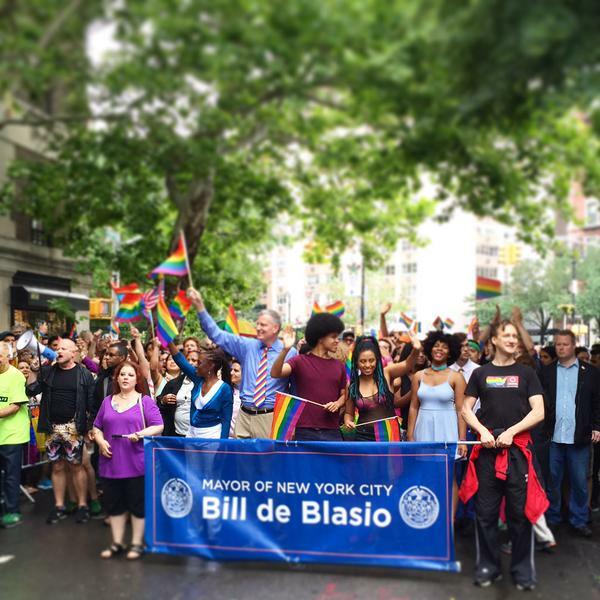 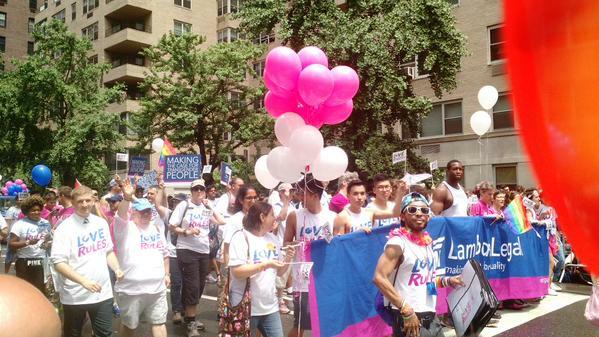 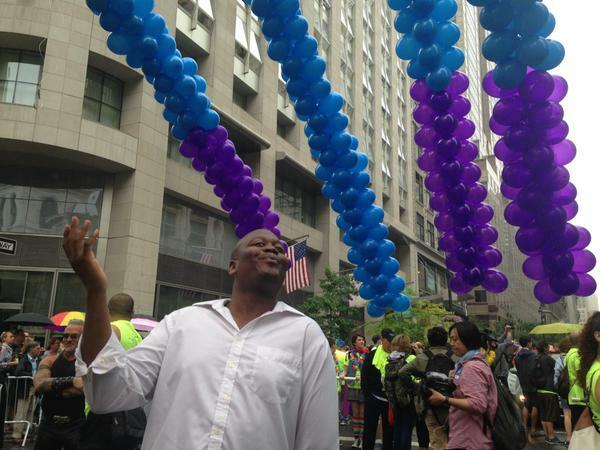 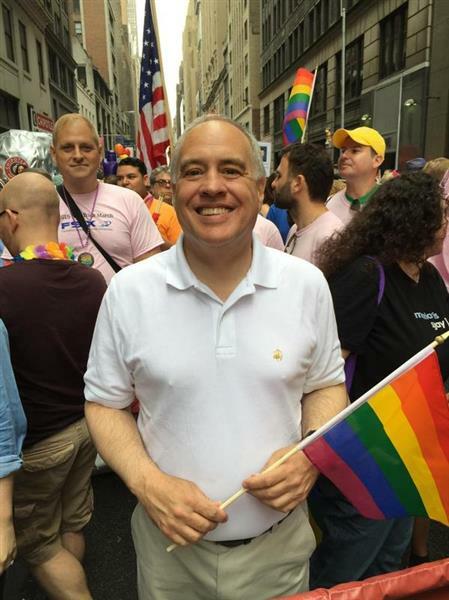 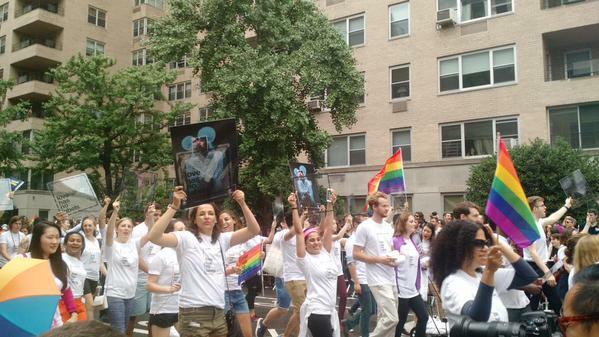 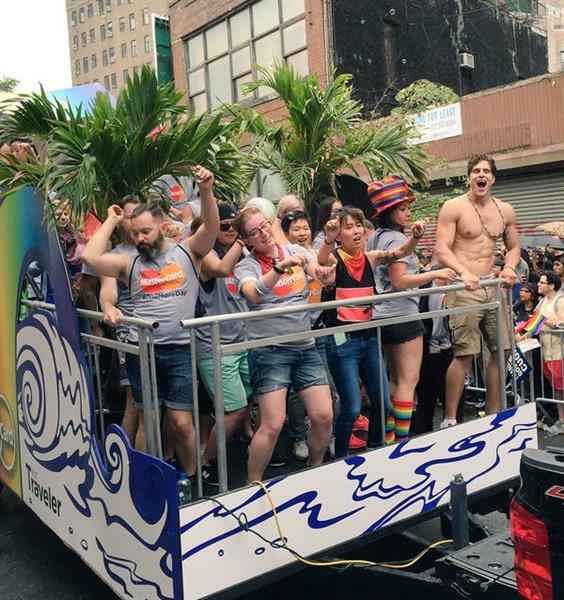 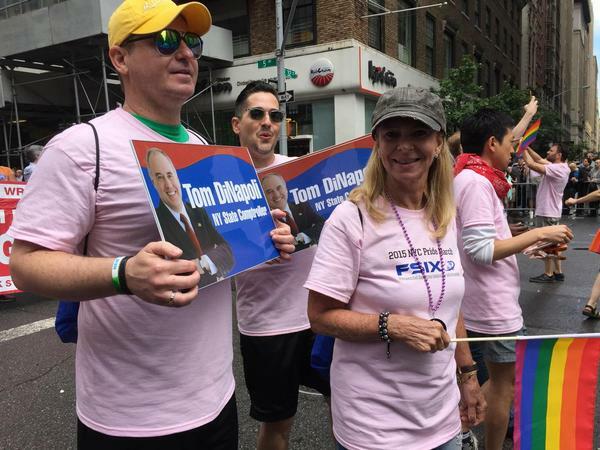 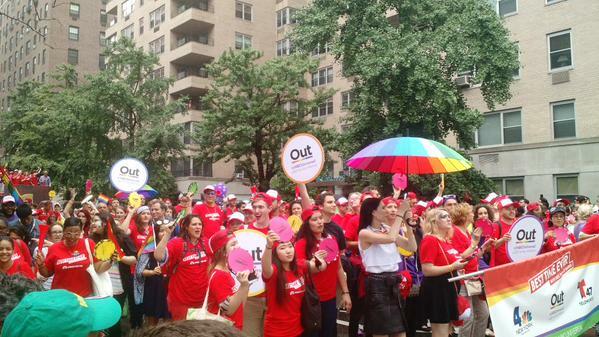 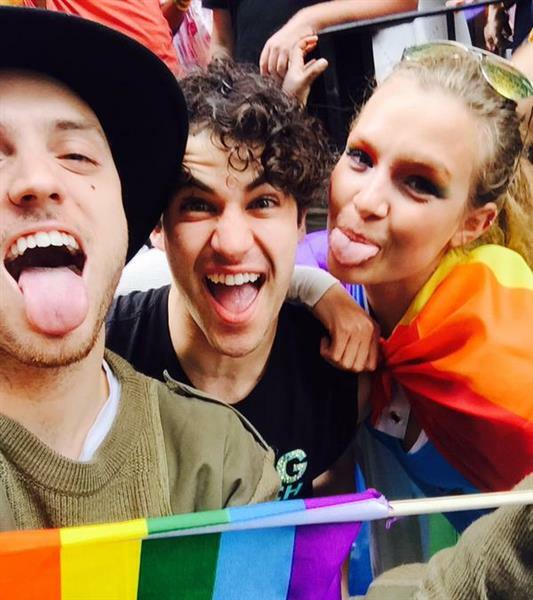 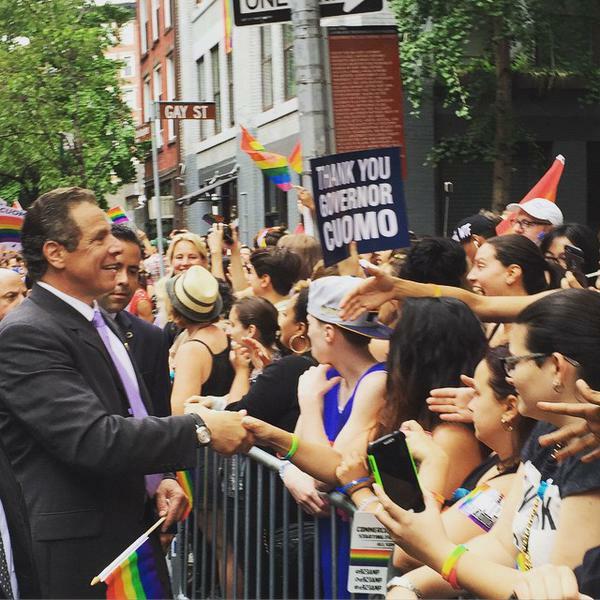 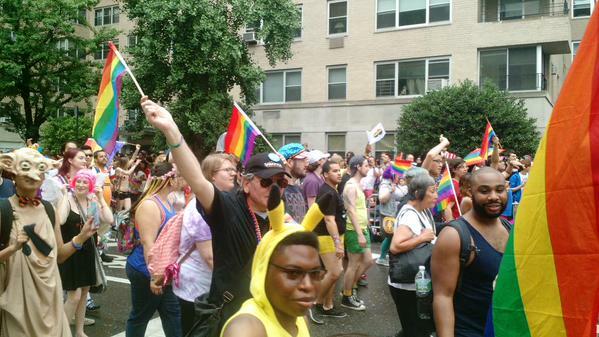 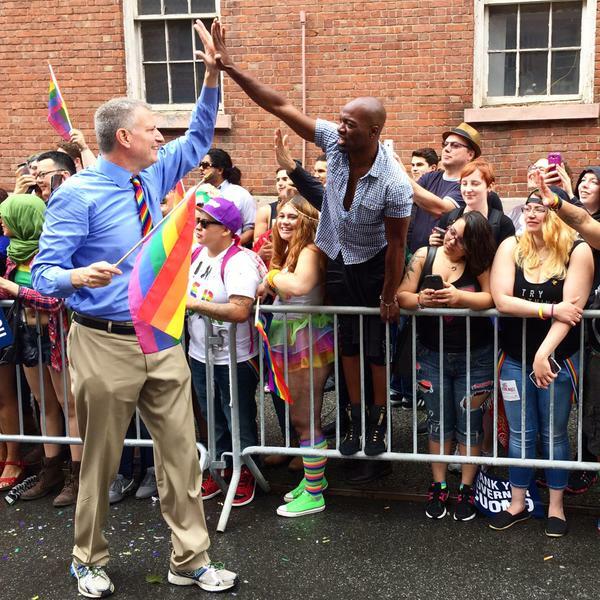 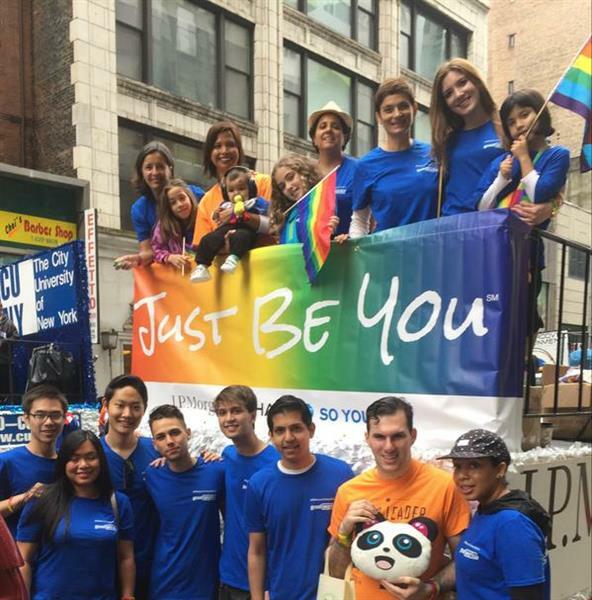 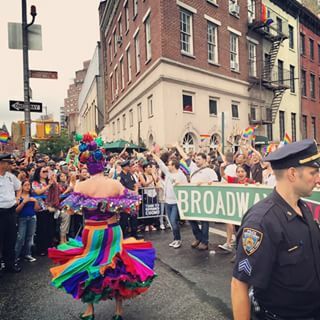 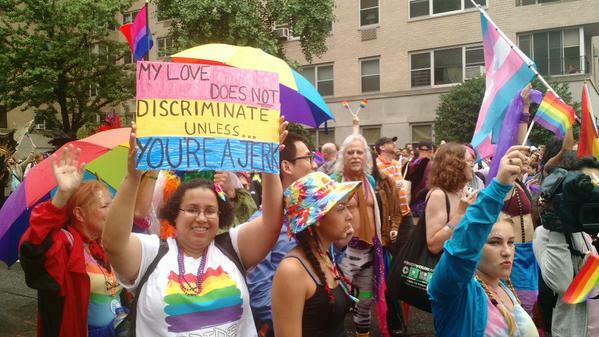 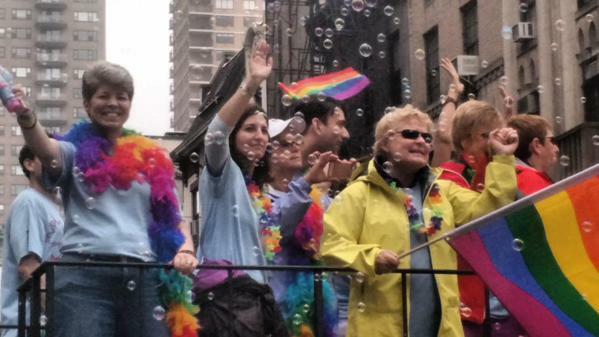 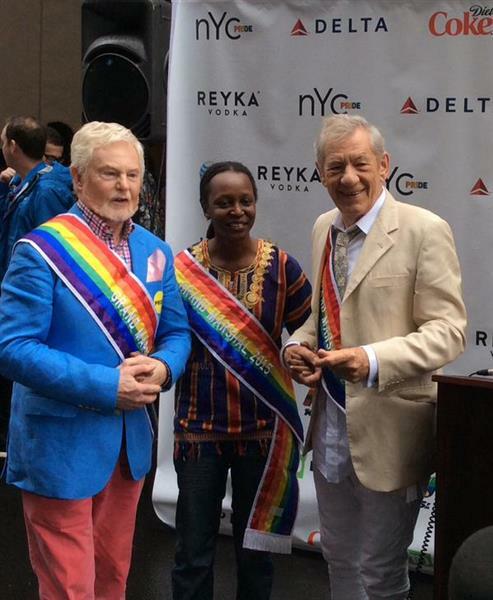 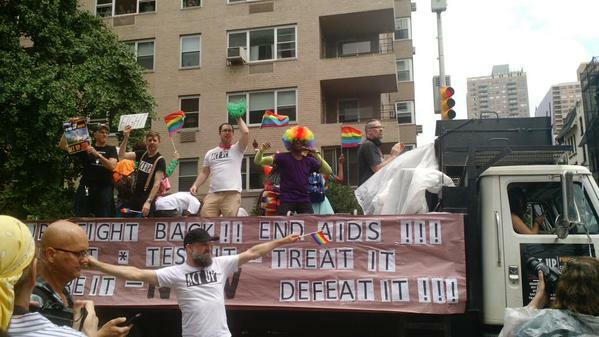 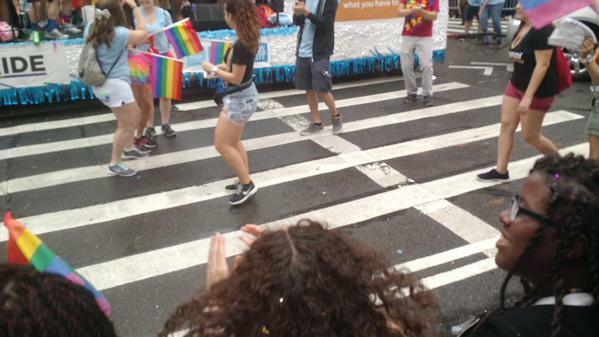 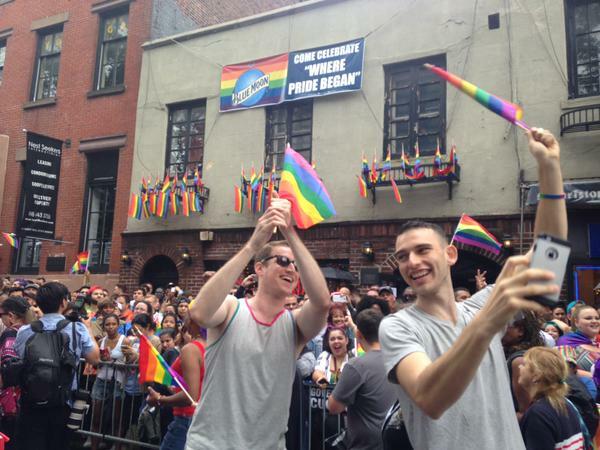 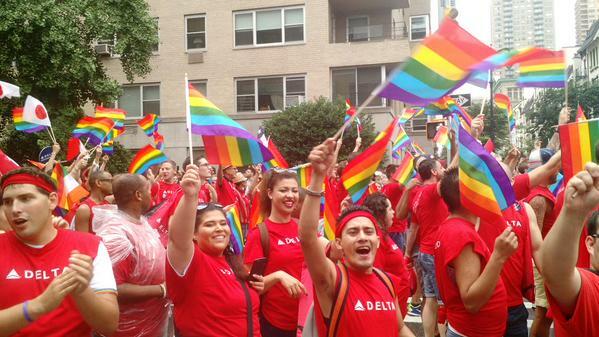 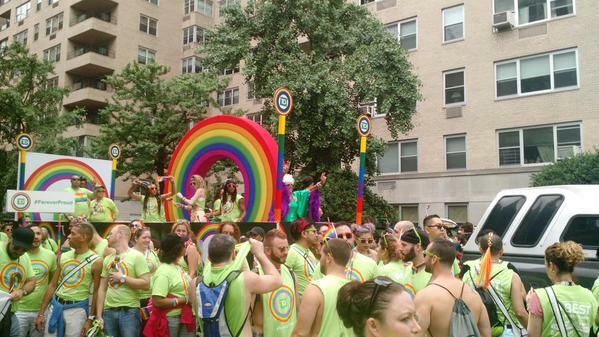 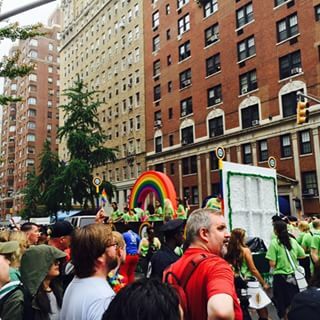 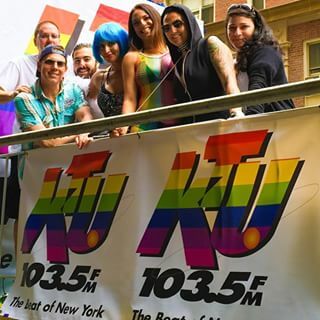 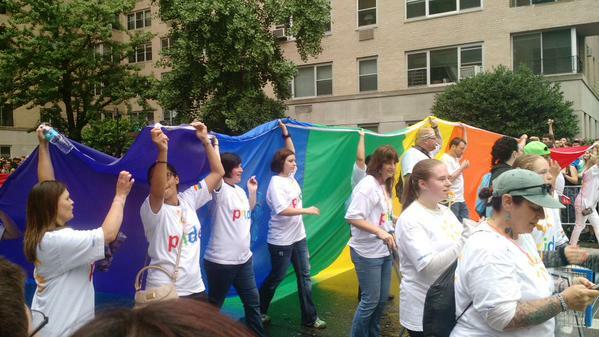 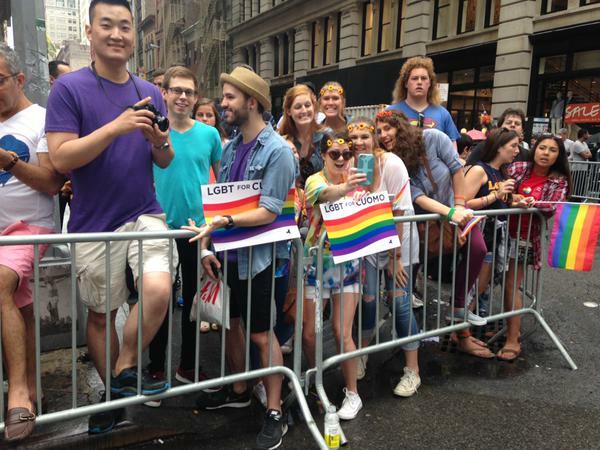 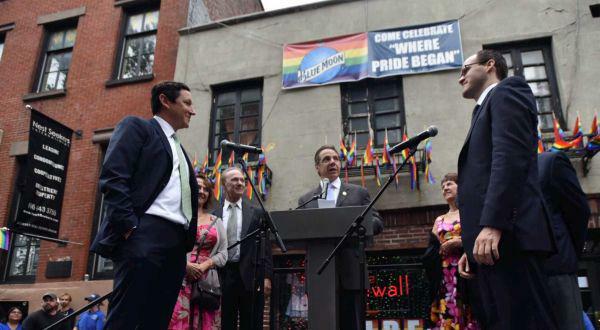 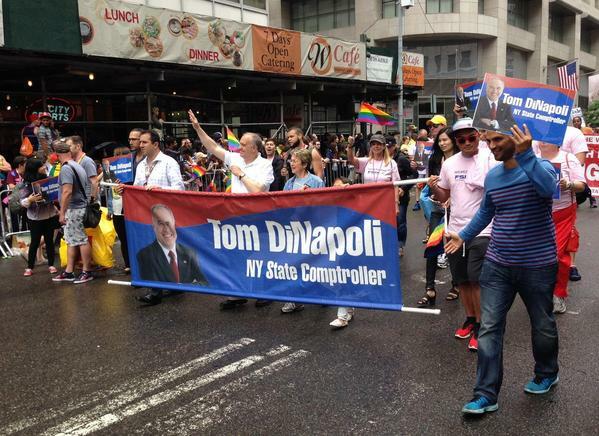 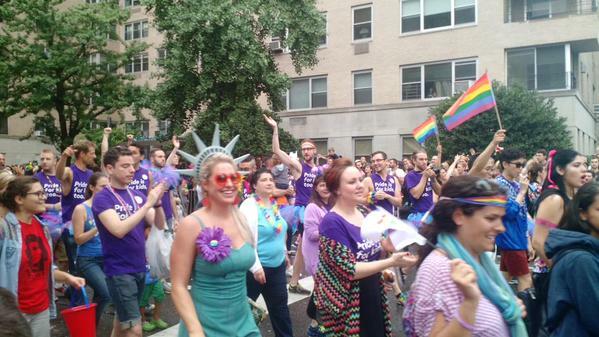 Revelers and parade floats roll down the streets of Manhattan in celebration of gay pride. 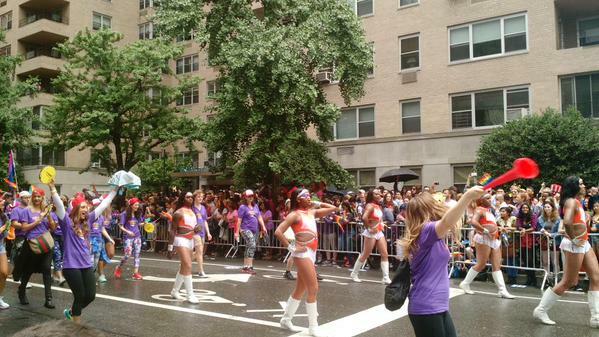 The first marching band in the parade has some colored instruments. 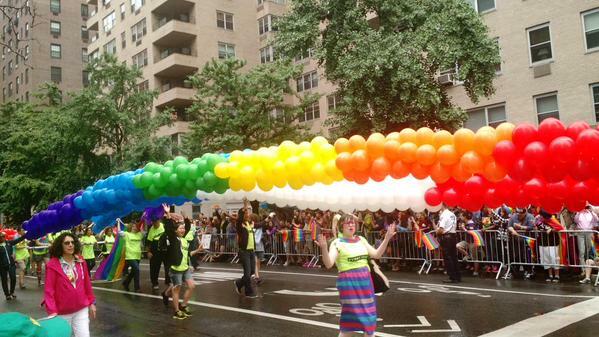 Not a full rainbow, but close.